Holding a tree frog in your hand, walking and talking with a hydrology expert about filtering dirty water through a series of ponds, picking pumpkins, watching Scrooge learn about the spirit of Christmas on the stage in front of you, binding your own book with a needle and thread, touching and playing with masks and instruments made of wood to learn how forests are used and protected around the world, or getting the Speaker of the House to welcome you in front of the whole state House of Representatives at the Capitol building? This is “school”? Well, yes, of course – it’s all par for the course for our home learners! One of the amazing things about home learning is that families are much more able to arrange their schedules to involve educational visits and field trips to different locations. 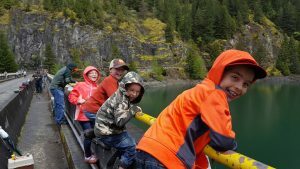 This is so empowering for families, and these excursions make a big difference in children’s educations. At DCS, we try to organize field trips or family workshops about twice a month on different days of the week, covering a wide range of subjects and concepts, and including different age groups. 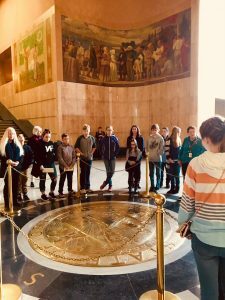 So far this year, we have had trips covering topics like agriculture, local history, performing arts, forestry (industry, biology, economy, sustainability), science, and civics. Before the end of the year, we’ll have trips and workshops covering genealogy, geology, gardening, engineering and world history. This is very satisfying information for those of us helping to guide our students’ learning, but for the kids, it’s all about higher levels of engagement. These trips and workshops are all about exposing them to interesting ideas, situations, and experiences, and what they are able to pick up to stimulate their curiosity for future learning and reinforce previous learning. These are all good reasons to make sure that you take advantage of the many field trip opportunities offered through DCS (and arrange your own experiential learning visits with your family)! But how do you get the most learning out of the experiences? How do you make sure that your child(ren) are making connections, gaining insight, reinforcing knowledge, and then taking advantage of the curiosity the trip inspires to continue the learning afterwards? 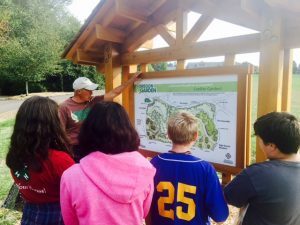 Try some (or all) of these ideas to make the most of your field trips, and let us know if you have any ideas to add! Research the trip ahead of time. Get books about the topic from the library. Go online and look up the website of the place you will be visiting. Make a list of questions that you might find the answers to on the trip. Think about experiences you have had or projects you have done in the past that connect with this trip. Make a list of possible vocabulary words that might be used during the trip. Discuss concepts that will be covered during the trip. Prime the learning pump. Get help from your students in planning for the trip. Talk about departure, travel, and arrival times (estimating, measuring distances, time management). Discuss a budget and make a list of items that you will need to pack and bring. When appropriate, give students a sketchbook and pencil(s) to draw, sketch, or take notes and write questions during the visit. During the trip, it’s all about the engagement, the inspiration, the exposure to ideas and information, and the curiosity. Make sure kids are engaging with the tour, experience, or exhibit – when appropriate, ask them questions, give them tasks (like sketching in a notebook or doing a scavenger hunt), help them make connections with bigger questions and concepts. (Learn about concept-based teaching and learning here.) Take plenty of photos and maybe a few video clips so that kids can make a digital slideshow, video or presentation about the trip later. Every trip is as interesting and educational as you make it! After the trip, have your child review or evaluate the trip. Have them make some notes about what was great, how they could have been more engaged or behaved differently, and what they would like to see improved. 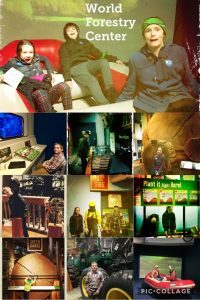 Here are more ideas to continue to extend learning after a field trip from campsilos.org. Have fun! Have students share observations and reactions to field trip experiences. Share notes or assignments students completed while on the field trip. Create a display of materials developed or collected while on the field trip. Develop a home museum that replicates and extends displays students observed on the field trip. For example, if the field trip involved an art museum, develop a classroom art museum containing student artwork. Link field trip activities to multiple curricular areas. For example, students can develop vocabulary lists based on field trip observations; record field trip observations in a classroom journal; complete math problems related to actual field trip budget planning; etc. Have students compose and send thank-you letters to the field trip site host, chaperones, school administrators and other persons that supported the field trip. Include favorite objects or special information learned during the field trip. Create a short news report about what happened on the field trip. Publicize the trip via an article in your local newspaper, video or article on the school website, or trip presentation for parent’s night. ← New student applications for 2018-19 will be accepted until May 5th, 2018!